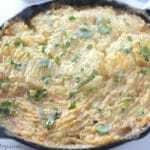 Chicken and mashed potatoes casserole, easy, delicious and filling. 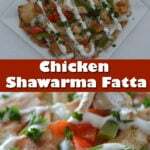 Creamy chicken with loads of flavors and topped with browned mashed potatoes. 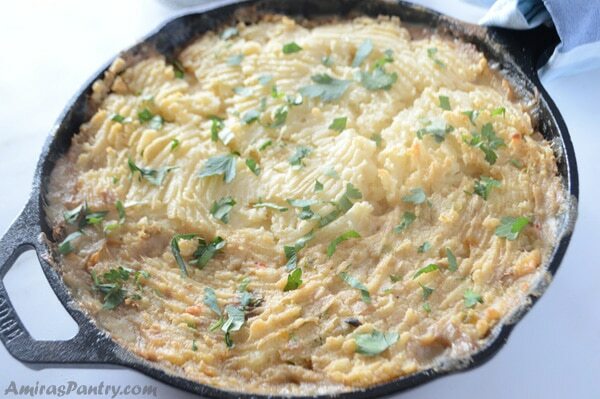 A great way to use leftover mashed potatoes. 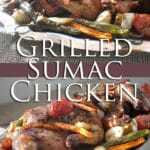 This recipe has my heart.. I love it .. love it.. why? 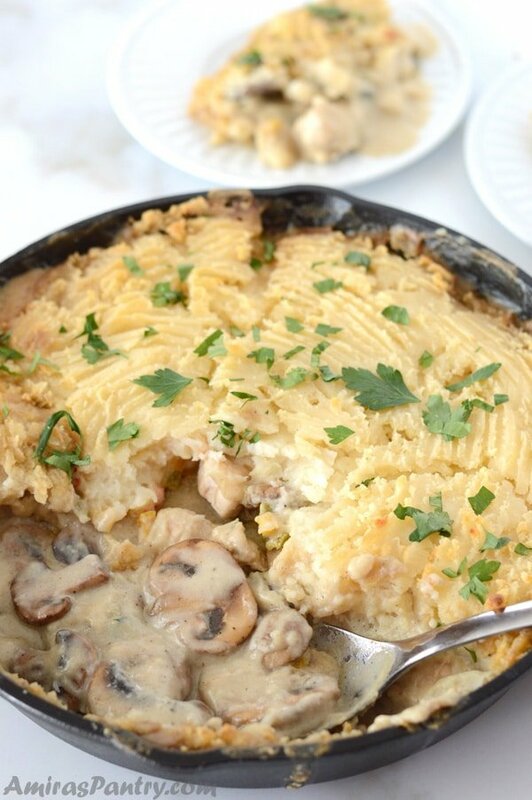 It is creamy, it is garlic, it is mushrooms, it is buttery, it is chicken and it is mashed potatoes. 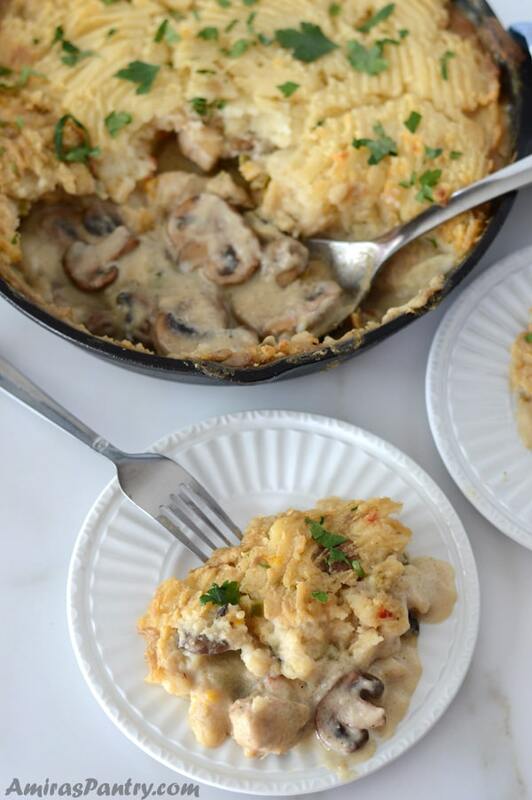 This is creamy garlic mushroom chicken yummy awesome mashed potatoes … and I am not kidding. And as a bonus, it is a one pot recipe, leftover mashed potatoes saver. I do not know what is the read connection between holidays and mashed potatoes. Whenever, and WHEREVER, there is a holiday season there is mashed potatoes on the table. Do not think it is something that is in the US only but also in Egypt!. 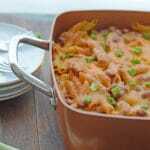 Whether it is Thanksgiving, Christmas or Ramadan and Eid there is always mashed potatoes something casserole. In Egypt, the most common dish made with mashed potatoes in something like Shepherd’s pie. I hated it.. it was dull, not flavored, dry and in many cases had this layer of breadcrumbs that is somehow added to its dryness but seems that eeeeeevery one enjoyed making it except for me. I am not giving you a recipe for mashed potatoes, instead make your own with whatever recipe you like. Even make it with the boxed store bought mashed potatoes, the point is I am giving you a recipe to use this mashed potatoes in a new flavorful and filling way. Liberally season the chicken with salt and pepper, cook in a couple of melted butter until done. This took me about 10 minutes. I’ve used chicken breast but you can use thighs as well. Set the chicken aside, and again melt some butter and saute mushrooms. 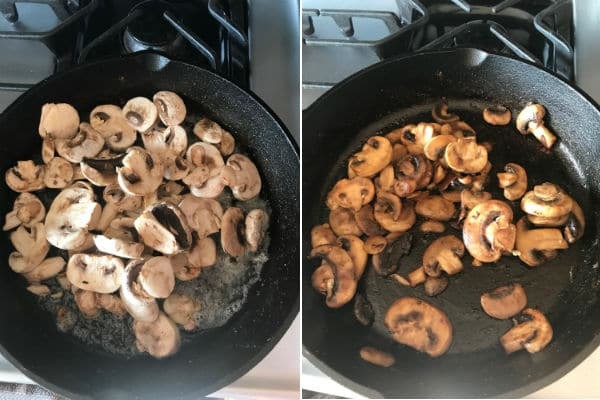 Actually this is my favorite simple way to cook mushrooms, just a little bit of butter, salt and pepper and that’s it. Set the mushrooms with the chicken aside, and in the same skillet melt butter. Saute garlic until fragrant then add flour and brown for another minute. Pour in the half & half or milk then the broth and stir until smooth and creamy. Season with salt and pepper. 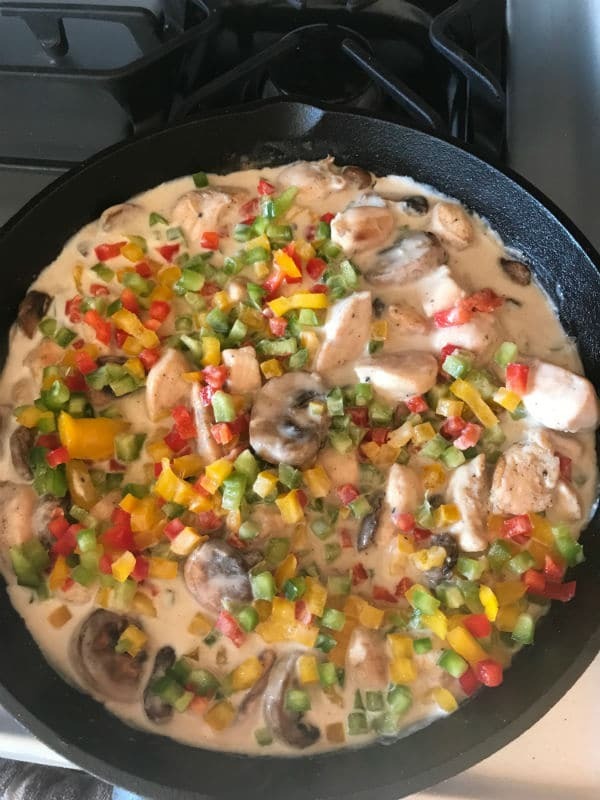 Add back chicken, mushroom and bell pepper, stir everything well and simmer for 2-3 minutes. You can saute bell pepper along with mushrooms, but I wanted my veggies to be crunchy that’s why I did not cook them on stove top. Now add the mashed potatoes on top and with a fork try to make some lines on top. Bake until top is nicely browned. Top will be crunchy while creamy underneath. If you want the top to be soft, do not wait until it is browned. I did not brown mine too much as my kids do not like it that way. It was so good and delicious. 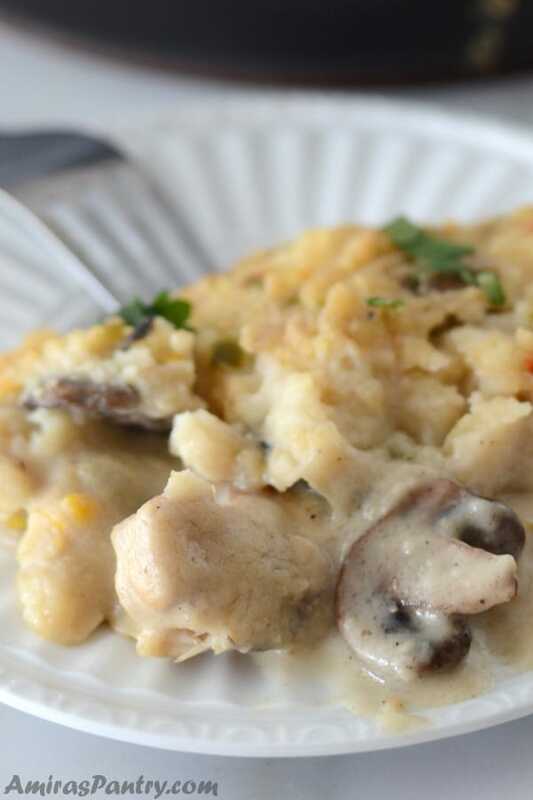 A chicken and mashed potatoes casserole that is creamy and perfectly flavored. 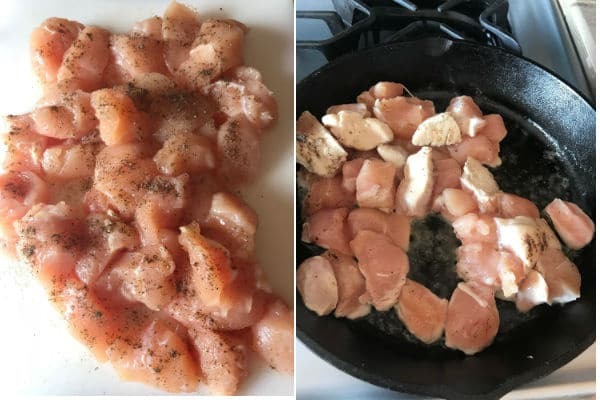 1 pound chicken breast cut into 1 inch cubes. 6 Tablespoons unsalted butter divided. 8 oz fresh mushrooms sliced. 3/4 cup half and half or milk. In a skillet over medium high heat, melt 2 Tablespoons of butter then add chicken and sauté until chicken is done, took me about 10 minutes. Transfer chicken to a bowl and set aside. In the same pan add another 2 Tablespoons butter, add mushrooms and sauté until done almost 3-4 minutes. In the same pan, add the remaining butter, then garlic and stir for a minute. Whisk the flour until golden for about another minute. Pour half and half or milk and the chicken broth whisking vigorously until it is smooth. Season with salt and pepper. Add the chicken, mushroom and garlic mixture back to the pan. Add bell pepper and mix everything well together and simmer for 2 minutes. Turn heat off, spread the mashed potato on top. 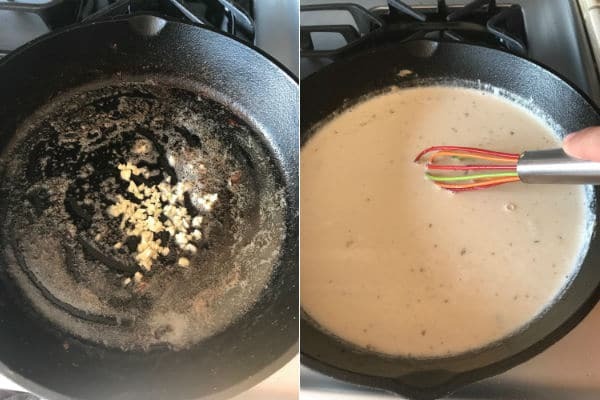 Level with the back of a spoon. Take a fork and make some lines or circles on top. *Bell pepper is optional but highly recommended. It gives this dish a unique flavor that you do not want to miss especially if you are a bell pepper fan. 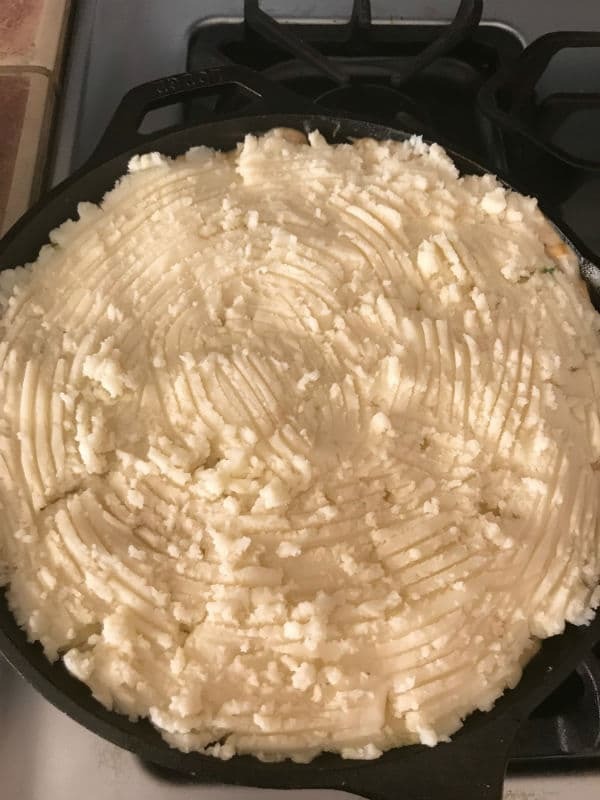 ** You can use any leftover mashed potato you have or make your own, I personally like Chef John’s recipe here https://allrecipes.com/recipe/219077/chef-johns-perfect-mashed-potatoes/ *** I did not brown mine much as my kids would not like that. Thanks Cecile, please do come and tell me how it went with you.